Easy to use secure solution to review/convert your transactions and import into your accounting software. 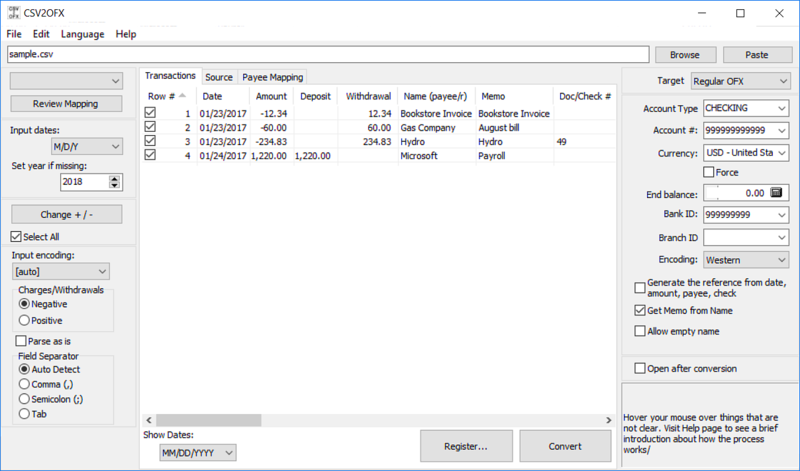 Convert CSV to OFX and import into MS Money, Sage One, Xero, YNAB, AccountEdge, Bankivity, Ace Money. Create importable OFX files.